About | American Fence & Supply Co.
American Fence & Supply was founded in 1986 and has built a solid reputation of quality workmanship, hard work, integrity, and excellent leadership. We value our customers and it shows in our finished products. Our unparalleled commitment to your endeavors is what has made American Fence & Supply an Industry Leader for over 24 years. American Fence & Supply understands the importance of not only quality workmanship but also quality products. American Fence & Supply has a department to fulfill your temporary fence, installation, or material purchasing needs. Simply pick up the phone, email, or fax your specifications or measurements, and one of our courteous and professional staff will help you. Our installation department provides complete installation of all types, styles, and sizes of fence. American Fence is up to the job whether it be Commercial, Industrial, Institutional, or Residential fencing. NO PROJECT IS TOO BIG OR TOO SMALL. 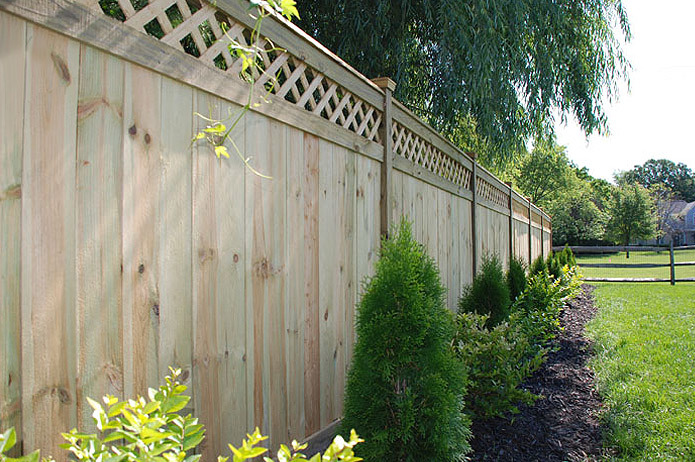 American Fence & Supply can supply the material for your next fence project. From Split Rail, to Industrial Chain Link, We have a product to fit all of your fencing needs. American Fence & Supply carries a variety of temporary panels and crowd control barriers for construction sites, special events, or other venues. Purchase or rent our panels for your next project. CONTACT US TODAY, AND ONE OF OUR COURTEOUS STAFF WILL HELP YOU MAKE A THE RIGHT DECISION FOR YOUR FENCING PROJECT.